(August 28th 2000) GELB, BURNS & CONVERTINO : TOO MUCH TALENT CAN'T BE A BAD THING ! (January 24th 2000) Good news, the Thrill Jockey label should release officially "Chore of enchantment" next march, including a vinyl edition which will have 5 bonus tracks compared to the original CD. (August 11th 1999) Will "Chore of enchantment", the supposed-to-be forthcoming Giant Sand album, ever be released ?, one can wonder. (July 15th 1999) A short and illustrated report of these tours by the members of Giant Sand, whose paths unfortunately didn't cross this last spring. 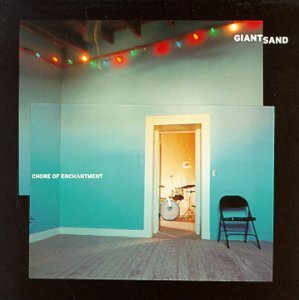 (February 1999) On its official site,Giant Sand announces the release of its new album,"Chore of enchantment".